Sometimes people just want to share their trademark woes with me. Sometimes they want free advice, or cheap advice, or just a broad, powerful if round trademarky shoulder to cry on. I am a man, and no one’s crying towel, yet — surely even a litigator can have feelings. Hot Pockets. Carl’s mark (no, not Karl Marx! ahem): POCKET SANDWICHES — not (as originally written) CROISSANT POCKETS, and… not too confusing at all. Or is it? Ah, but first we must address the substantive crust of the matter before we bite into the hot, steaming mass and taste of the LIKELIHOOD OF CONFUSION analysis within. The better to let it cool off just a tad anyway, no? We do not interpret the definition of “registrant” in Section 45 of the Trademark Act, 15 U.S.C. §1127, to include exclusive licensees to the extent that they may rely on Section 7(b) presumptions [of priority based on a first-use date in the trademark registration]. Licensees may enforce trademark rights, but must establish priority through evidence of use and may not rely on their licensor’s registrations. That’s something to know and remember, right there! But before the inside of this hot sandwichy-type thing cools down too much, can’t we dig into the LIKELIHOOD OF CONFUSION (LOC) question? Not so fast, hungry boy. Look, isn’t a Hot Pocket just, you know, a hot pocket? If it is, that’s a pretty weak trademark you have there! How can the opposer even oppose registration if it doesn’t even have a real trademark — i.e., a distinctive one? Applicant argues that opposer’s mark, HOT POCKETS, is merely descriptive and the evidence of record is not sufficient to establish that it has acquired distinctiveness. . . .
Based on [a] survey in the first quarter of 2004 the HOT POCKETS brand commanded 96 percent brand awareness, meaning that when asked if a consumer had heard of the HOT POCKETS brand 96 percent responded yes. . . This evidence is sufficient to establish, at a minimum[,] that HOT POCKETS had acquired distinctiveness for frozen stuffed sandwiches by the first quarter of 2004, prior to applicant’s filing date. Ninety-six percent? Yes, I’d agree — “at a minimum,” that’s distinctive, at least in the acquired sense, and that’s some rights you got there. In view of the above, opposer has shown rights in the mark HOT POCKETS prior to applicant’s filing date and, thus, has established priority. We turn then to consider whether there is a likelihood of confusion. The Board made short work of the first handful of these, concluding that “the goods are legally identical and the parties’ trade channels and customers overlap. As to the conditions of sale, these are relatively inexpensive goods and are subject to a lower level of purchaser care” — for although consumers are not presumed stupid (by the law; by some judges, yes), sometimes they think more about a purchase, and sometime less. In the latter cases, there is a greater LOC. So far, it was looking good for NestlÃ© — and it hadn’t even rolled out it’s ace in the hole, bad faith. After all, don’t we really all know what happened here? Carl knew about the famous HOT POCKETS trademark. He obviously wanted to capitalize on its fame. So he’s up all night, implies NestlÃ© ever so subtly, fiddling with his hot-pockets-made-out-something-else-sandwichy-sounding ideas to just leap on the brand equity of HOT POCKETS — why, anything POCKETS! — and ride it piggy-piggy-piggy-back alllll the way home! To the bank, I mean. “Opposer,” the opinion continues, “argues that the element of ‘bad faith’ or ‘intent to trade off the goodwill’ (categorized under duPont factor 13) weighs in its favor because applicant knew of opposer’s HOT POCKETS Mark.” Perfect! Yes, NestlÃ© suggests, he schemed and planned this free ride in bad faith! It must have gone something like this…. Food… switch… switching sides? … Food + switching sides = France? … French-bread pockets? No, no, too long… too long to fit in the microwave, heh … Baguette pockets! Yes! Yes… No…. Warmer, warmer…. Croissant Pockets? Maybe… but how about just plain Pocket. Sandwiches. Take “croissant,” though, because they’re using that, and replace it with good old American sammiches. But pocket. POCKET SANDWICHES. Yes!! To put it simply, without more we cannot make such findings as to applicant’s intent, good or bad. This is not a record where an inference of bad faith may be made. Accordingly, we find no bad faith in applicant’s adoption of its mark. Ok, well, now what? It’s still 4-1 NestlÃ©. Anything else left? The main question in this case is whether opposer’s mark HOT POCKETS is sufficiently similar to applicant’s mark such that when used on nearly identical goods, there is likely confusion. We examine the similarities and dissimilarities of the marks in their appearance, sound, meaning, and commercial impression. Central to the analysis in this case is the impact of the common term “pocket” to a potential consumer and whether use of that word is enough to create a likelihood of confusion. Opposer asserts that its marks are very strong based on their inherent distinctiveness and “opposer’s extensive use and promotion of the POCKETS Marks, as well as sales of goods under the marks for over 25 years, and thus are entitled to a broad scope of protection.” In response, applicant argues that there is not sufficient evidence upon which to make a determination that the marks are well known and, in fact, the common term “pocket” is not only weak but descriptive of the parties’ respective goods. The evidence does show that the mark HOT POCKETS, in its entirety, has strong commercial strength. . . .
[But t]here is no evidence of long term use and the 2003 – 2009 data is not separated by brand, i.e., HOT POCKETS, LEAN POCKETS and CROISSANT POCKETS, which diminishes somewhat the weight of that evidence in that it is unclear which brand is strongest, while unlikely, it is possible that CROISSANT POCKETS is the strongest one and opposer has not presented argument on that mark. Whoa!!! Wait a minute! See, it’s a very bad idea to skip ahead! You say NestlÃ© had a CROISSANT POCKETS trademark? Why haven’t I heard about this! That changes everything! The whole imagined tossing-and-turning night of pocket picking — why is the Board comparing HOT POCKETS and CROISSANT POCKETS instead of CROISSANT POCKETS and POCKET SANDWICHES? You can see, after all, why the Board might thing, in theory, that the pocket part… well, you get it. Before considering opposer’s claim of priority and likelihood of confusion, we must first address which mark(s) are at issue in this proceeding. . . . Turning to opposer’s common law marks, applicant argues that opposer may not rely on the LEAN POCKETS and CROISSANT POCKETS marks inasmuch it did not plead use of those marks. 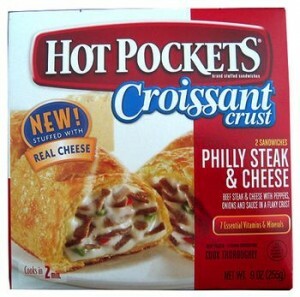 At trial, opposer clearly asserted its use of the marks HOT POCKETS, LEAN POCKETS and CROISSANT POCKETS in connection with stuffed sandwiches. During opposer’s testimony, applicant did not object to testimony about such use and in fact conducted cross-examination on these marks. [A]pplicant has implicitly consented to trial of the issue of priority and likelihood of confusion with respect to opposer’s use of LEAN POCKETS and CROISSANT POCKETS and there is no prejudice to applicant in so holding. In view thereof, the pleadings are amended by implied consent to assert opposer’s use of LEAN POCKETS and CROISSANT POCKETS in connection with stuffed sandwiches . . . Okay, so let me get this: Carl says hey, don’t bring me your CROISSANT POCKETS claim against my POCKET SANDWICHES registration — you never said a darned thing about that in your pleadings! And the Board says, no, NestlÃ© didn’t plead that in its opposition filing, true. But then you guys went ahead and had a whole trial and they tried the case based on confusion with their CROISSANT POCKETS mark and you just… let them! So it’s in the case now, Carl; too late to complain. Okay. So, doesn’t that even make the question stronger? It wasn’t in the pocket — I mean, pleadings — but now it is. So why is the LOC analysis in this opinion silent on the identity of the trademarks CROISSANT POCKETS and CROISSANT POCKETS? That would seem to amount game-set-match for the Swiss chocolate crew! We note that opposer only discussed the HOT POCKETS and LEAN POCKETS marks in its brief. Thus, opposer’s asserted marks at issue before us are the asserted common law marks HOT POCKETS and LEAN POCKETS. We focus our decision on its HOT POCKETS mark. Huh? CROISSANT POCKETS! CROISSANT POCKETS to SANDWICH POCKETS to SANDWICH POCKETS — now, that’s math you can follow, right? Oh. No CROISSANT POCKETS mark in there? Back to The Dream. Yes, the opposer’s dog, it seems, ate its homework — surely the explanation is more complicated than that — but after all that waiving by Carl’s team, the most obvious mark likely to be confused with POCKET SANDWICHES is out of the case, and the court is back to comparing POCKET SANDWICHES with HOT POCKETS and all Nestle can do is allude to a fantasy, on the record as made-up-seeming as Tevye’s — what we might call the Carl Croissant Creation Myth. 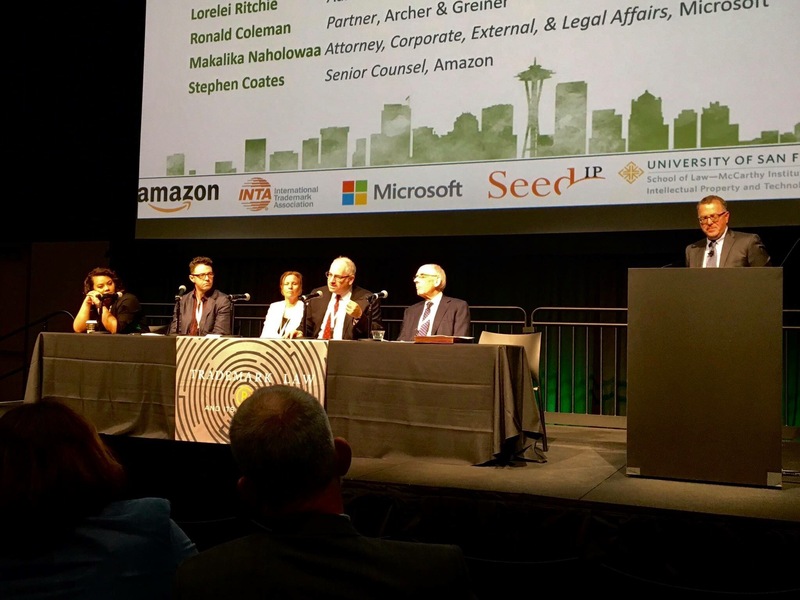 Which is more or less what the TTAB calls it, and myths are not admithable. In addition, the evidence of “widespread renown within popular culture” is somewhat vague and not supported by documentary evidence. For example, Mr. Niethammer testifies that “people that are aware of HOT POCKETS … can recite that jingle to you as well.” But this statement is not supported by evidence. . . . Overall, we find that the record evidence relevant to the strength of opposer’s mark is not sufficient to reach the level where the renown of the mark plays “a ‘dominant’ role in the process of balancing the du Pont factors.” . . . Moreover, the record also shows that the word “pocket,” used in connection with stuffed sandwiches or snacks is, at a minimum, highly suggestive [rather than distinctive and protectible]. The term “pocket bread” refers to “pita” [aha!] which is defined as “a round flat bread of Middle Eastern origin that can be opened to form a pocket for filling.” . . . In addition, all of opposer’s evidence to show strength is for the marks HOT POCKETS and LEAN POCKETS in their entireties and not for the term POCKETS by itself. . . . In view of the weakness of the common term POCKET in connection with frozen stuffed sandwiches, the substantial dissimilarities in sound, appearance, connotation and overall commercial impressions of the marks outweigh the differences. First, we are not convinced that the term “pocket” is the dominant element in applicant’s mark. The letters PF [aha!] are the most prominent element and as discussed above “pocket” is at a minimum highly suggestive of applicant’s goods. . . . In balancing the relevant factors, we conclude that despite the relatedness of the goods, overlap in trade channels and classes of purchasers, because applicant’s mark is so dissimilar from opposer’s HOT POCKETS and LEAN POCKETS marks, there is not a likelihood of confusion. In particular, the one point of similarity, at a minimum, is highly suggestive of the goods such that the marks are not confusingly similar. And there goes five years of litigation for NestlÃ© — even if it had a chance of winning an opposition to a mark like POCKET SANDWICHES. I’m sure there’s a good story behind this devastating sentence — “We note that opposer only discussed the HOT POCKETS and LEAN POCKETS marks in its brief” — and I don’t know what it is. I know that if you haven’t been there, you can’t know how something that reads in an opinion one way can have no relation whatsoever to what really happened. Sometimes, and I would never say this about the TTAB (or any judge now on the bench), it’s because an opinion merely contains an objectively counter-factual non-truth assertion of purported fact — as in the first footnote contained in this classic gem. Usually it’s more complicated than that and what looks like a massive screw-up has to do with decisions made in conference rooms; factors involving parties, interests or obligations not known or knowable to the reader of an opinion, horse-trades kept out of the record or, of course, the scheming and manipulation of the Masons. No, seriously. It is bad, bad, bad and wrong and unfair to second-guess advocates by reading an opinion. Anyone who has ever done it himself knows: you had to be there. But if you weren’t there, well, it does look like in this case, NestlÃ© chose one hell of a way to make a sandwich. Part Two to come: Testimony in the form of a guest post by Carl himself, which I did not even read before preparing this post. Perhaps, indeed, he will tell us of things we could never have known about his nearly half-decade grudge match over POCKET SANDWICHES with the Hot Pockets People from the land of snowy mountains and pricey watches. As for me, tonight, I’m heading over to the microwave. Yes, all this has made me more than a little hungry.